9 March 2010, at 9:38a.m. UK - Fusion is the next generation of toxin binder that also has great antifungal, ammonia binding properties and is an anti-caking agent. This unique product, in addition to its toxin binding advantages, offers analogous properties of a great source of essential amino acids, vitamins and other nutrients required to improve animal health and to boost performance. The individual components contained in Fusion® have specific characteristics and modes of actions that work synergistically to benefit all animal species. Mycotoxicosis is a well-known immunosuppressant caused by mycotoxins in animal feeds, increasing the risk of scouring, acidosis, enteritis and other gastrointestinal tract problems. The best solution to prevent mycotoxicosis in animals, in order to prevent the risk of zoonosis and reduce the detrimental effects caused by mycotoxins, is to include a high quality mycotoxin binder in animal feeds. Meriden Animal Health Limited has specifically created the high affinity mycotoxin binder, Fusion®, which safely binds various mycotoxin derivatives within the animal’s gastrointestinal tract, as well as inhibiting mould and fungus growth in feed. With its high binding capacity against mycotoxins such as, Deoxynivalenol, Fumonisin B1, Zearalenone, Vomitoxin, Aflatoxines (B1, B2, G1, G2), Ochratoxine A and T-2, Fusion® protects and strengthens the immune system. Thus, the animal’s immune system is able to function normally and defend against various respiratory and gastrointestinal diseases. This enables proper growth and development of bone tissue and structure and minimises the risk of secondary bacterial invaders such as E. coli and Salmonella spp. As well as fixing mycotoxins Fusion® increases growth rate and daily weight gain by improving FCR. Meanwhile, it reduces scouring, acidosis, enteritis and other gastrointestinal tract problems. Fungal moulds in food and feed ingredients are the pre-cursor to mycotoxins. 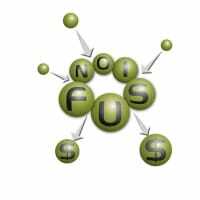 University studies have shown that Fusion® has great antifungal properties that can kill Aspergillus and Penicillium strains that produce a wide range of mycotoxins that can cause great economical losses in animal industry. Fusion® can kill the fungal precursors preventing or reducing the mycotoxin presence, which in turn reduces the economic loss and increases returns. 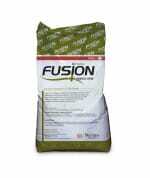 Fusion® is suitable for all types of animal feeds.